y name is Kerri, and I originally discovered chiropractic through personal experience, when working as a stage and production manager in the early 1990′s led to the inevitable low back pain. Following a successful course of chiropractic treatment, I decided to retrain as one and spent 5 years full-time at the Anglo European College of Chiropractic where I graduated with distinction with a Masters degree in Chiropractic, graduating in 2008. 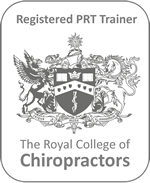 I have continued to develop my skills following graduation and have also gained a Postgraduate Certificate in Chiropractic Practice and a Diploma in Western Medical Acupuncture. Recently I have also qualified as an animal chiropractor gaining a Professional Certificate in Animal Chiropractic, so am able to add horses, dogs and other animals to my chiropractic patient base! 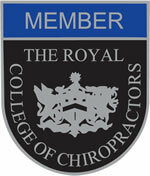 I am a member of the British Chiropractic Association, the Royal College of Chiropractors, the British Medical Acupuncture Society, the International Veterinary Chiropractic Association and the British Veterinary Chiropractic Association, as well as being registered with the General Chiropractic Council. In the clinic I use a variety of treatments as part of my chiropractic management strategy, including manipulation, massage and trigger point therapy, activator technique, sacro-occipital technique, western medical acupuncture (also known as ‘dry needling’) and rehabilitation exercises and lifestyle advice. I always discuss treatment options with my patients to make sure they are comfortable with what I’m proposing, and I particularly enjoy the challenge of working out a tricky case! My favourite part of being a chiropractor is being able to provide practical treatment and help for my patients and seeing them return to the activities they enjoy following chiropractic management – be that gardening, knitting or kite surfing! It is great to be able to be part of that transformation. I also now enjoy helping animals as well, and am particularly interested in helping horses and their riders reach their full potential. In my life outside work, I enjoy spending time with my family, riding and looking after my horse and walking my two dogs.